“Meaningless, nameless places that are given significance for a moment fascinate me.” If you look at the world from this perspective, there are endless numbers of “non-places” that reveal their inner beauty only to those who possess the eye and the alert thoughtfulness. Swiss photographer Anna Halm Schudel (*1945) has been photographing one project for years that actually has neither beginning nor end. She started out on her “never-ending journey” a trip through the seemingly inconspicuous, the fleeting, everything that whooshes by on her car drives that she captures with her camera. A building as a fleck of color, a copse of trees as if the landscape were marked with creatures, a guard rail on the side of the road: motifs whose banality becomes pure emotion through Halm Schudel’s eye, becoming moving landscape pictures per se, settled between figurative painting and classical landscape photography. Every person has multiple facets that combined determine his or her personality. Thinking about these internal images has recently inspired the Swiss photographic artist Anna Halm Schudel to create unusual portraits. 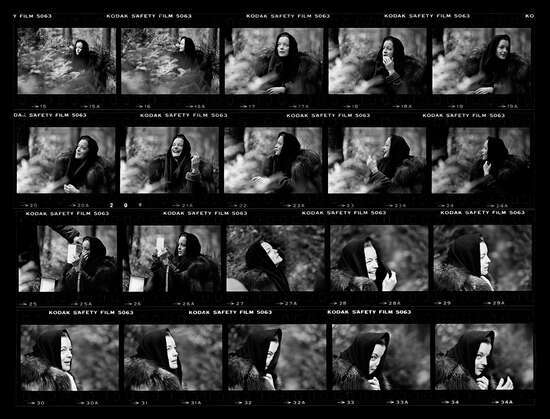 For these portraits, she set her sights on today’s and yesterday’s stars and celebrities in a highly original way. 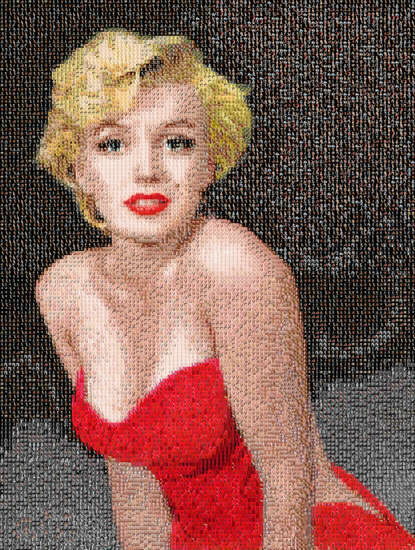 In her large-format photographic art, Schudel erects fascinating monuments to figures of particular charisma – Scarlet Johannsson, Keira Knightly, Barack Obama, and Marilyn Monroe. All these portraits seem to eschew exact understanding at first glance. The déjà-vu of the faces disseminated daily in the media dissolves into a completely unknown quality. 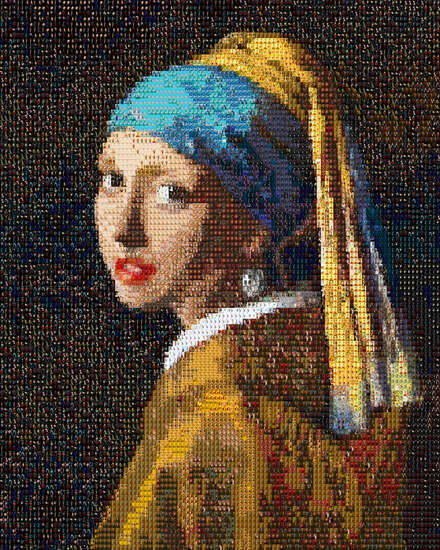 Indeed, a closer look reveals the great surprise lurking in the conspicuously large pixilation: the artist creates a mosaic-like image of thousands upon thousands of smaller portraits she culls from the World Wide Web. 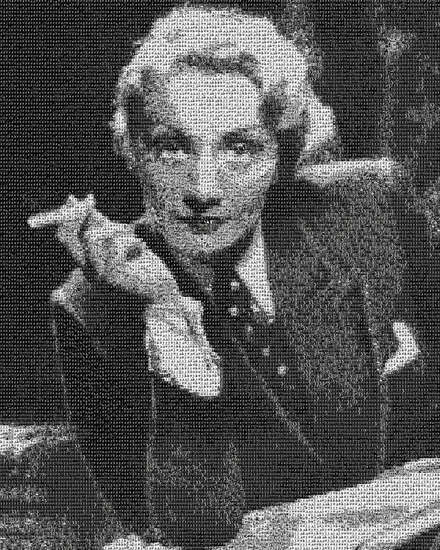 All these universally accessible digital images and biographical traces gave Schudel the idea to consolidate the unmanageable flood of visual information in new aesthetic realities. 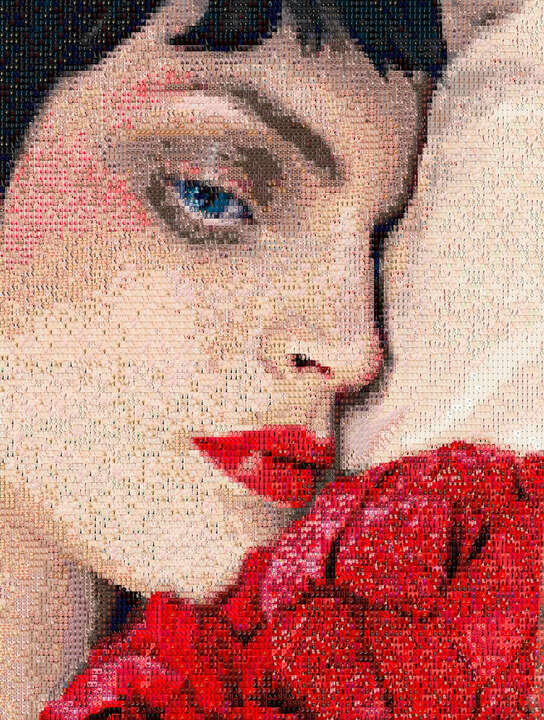 The photo artist reworks the digital portraits of famous people on the computer screen in a complex process. She generally chooses only one section out of every image. 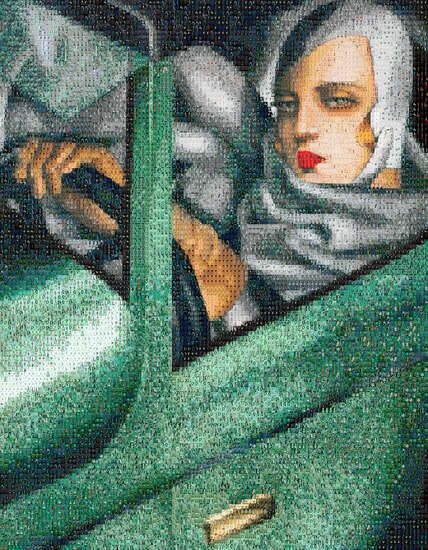 While creating the montage she is careful to match the formats and tones so that the reworked picture elements assemble like puzzle pieces to form a new portrait. The particular allure of these works comes from the ambivalence between nearness and distance, close- and far-range effects. Each of the tiny elements measures only one square centimeter. 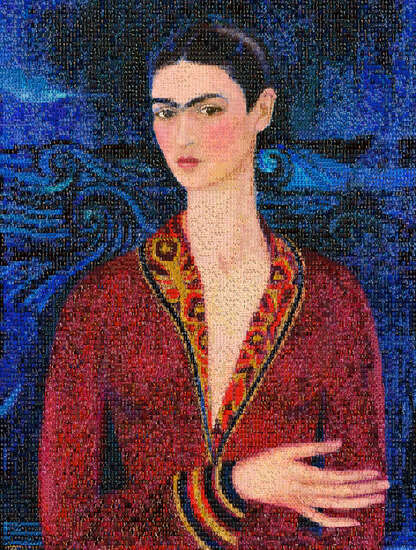 Were it possible with the naked eye, you might even recognize the artist’s face in a small fraction of the pieces. Anna Halm Schudel thus leaves her own kind of fingerprint on each work in the mosaic series. 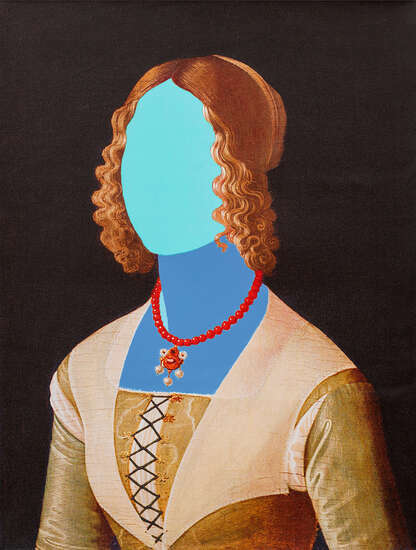 The artist’s convergence with – if not penetration of – the interior image of a person in fact quite distant from her is nowhere more concretely evident than in these small details.